At 2:30 Maxwell talks about his trip to LA for the iHeartRadio Music Awards and Raven talks about her impending wisdom teeth removal. At 5:50 we talk about what our high school crushes are up to now. At 13:33 we read a Please Advise email from a listener who wants to know how to deal when your work friends take another job. At 17:30 we answer your “Ask Us Anything” questions. 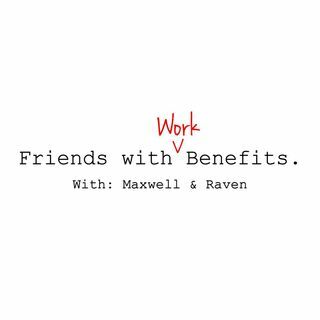 At 26:18 Maxwell argues why you should stay friends with an ex. Next week on the show: Raven argues why you SHOULDN’T ... See More stay friends with an ex. Like what you hear? Rate, review, subscribe and tell a friend!